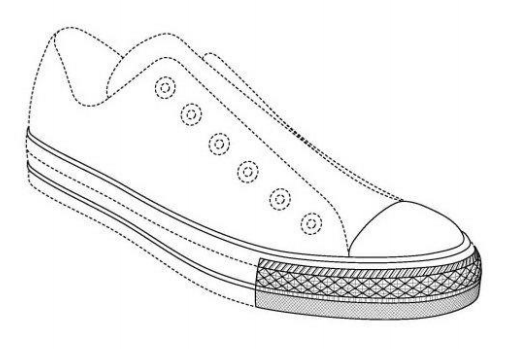 In its decision here, a divided Federal Circuit created a new test for secondary meaning, placed limits on trade dress infringement with an analogy to design patent law, and more . . . 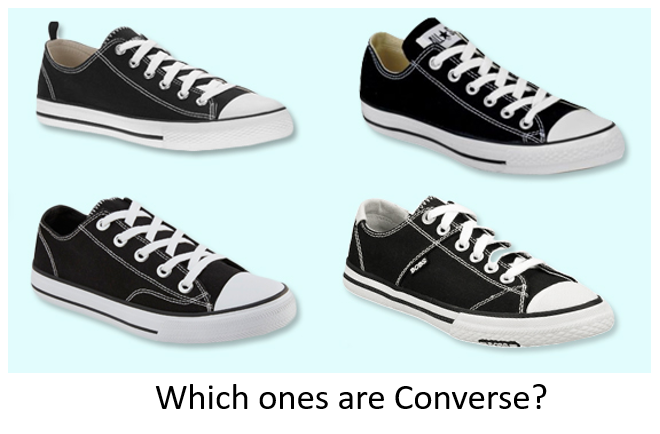 In this case, the 2013 mark registration by Converse creates a presumption of secondary meaning — as of the registration date. 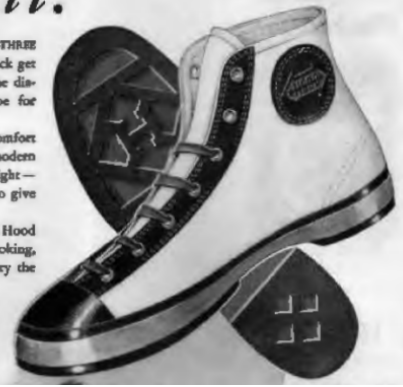 Converse argues that it is entitled to rely on the presumption of validity afforded to registered marks. We do not agree that this presumption applies to infringement that began before registration. . . . [U]nder the statute, the registration and its accompanying presumption of secondary meaning operate only prospectively from the date of registration. . . . This rule is a straightforward application of the Lanham Act, pursuant to which the PTO examines whether secondary meaning has been acquired at the time of registration. See 15 U.S.C. § 1052(f). The resulting registration confers a presumption of secondary meaning from that point in time, see id. §§ 1057(b), 1115(a), but at the time of registration the PTO is not asked to determine whether secondary meaning had been acquired at some previous date, and therefore registration cannot support a presumption for the period before registration. Indeed, on a record such as this, with a multiyear gap between infringement and registration, registration cannot even be probative of secondary meaning at the time of infringement. Because the ITC did not establish when (if ever) the mark established secondary meaning pre-registration, on remand, Converse will be given a chance to prove that secondary meaning was established prior to “the first infringing use by each respondent.” The dissenting opinion in this case filed by Judge O’Malley would not have given Converse the opportunity to go back and provide this new evidence. Today we clarify that the considerations to be assessed in determining whether a mark has acquired secondary meaning can be described by the following six factors: (1) association of the trade dress with a particular source by actual purchasers (typically measured by customer surveys); (2) length, degree, and exclusivity of use; (3) amount and manner of advertising; (4) amount of sales and number of customers; (5) intentional copying; and (6) unsolicited media coverage of the product embodying the mark. . . . All six factors are to be weighed together in determining the existence of secondary meaning. This test is similar to that adopted by the various circuits, but include some quirks. (Prepare an additional post on this). Although we agree with the ITC that evidence of the use of similar but not identical trade dress may inform the secondary-meaning analysis, we think such uses must be substantially similar to the asserted mark. Here, the ITC made no determination as to which of the prior uses were substantially similar. Establishing infringement: On the infringement side, the Federal Circuit also found errors in the ITC’s likelihood of confusion test. Here, the court held that product design trade dress can only infringe if it is “substantially similar” to the protected trade dress — noting that “We have applied an analogous requirement in the design-patent context, where infringement cannot be found unless an ordinary observer would perceive that the ‘two designs are substantially the same. '” Quoting Egyptian Goddess, Inc. v. Swisa, Inc., 543 F.3d 665, 670 (Fed. Cir. 2008) (en banc) (quoting Gorham Co. v. White, 81 U.S. 511, 528 (1871)). Defaulting Parties: Finally, the ITC had refused to enter an exclusion order against defaulted respondents — based upon its finding that the trademark was invalid. In the appeal, the court here suggested that result should be changed. I agree with the majority that the International Trade Commission (“ITC” or “Commission”) erred in its legal analysis in this matter and that its decision must be vacated. I also agree that a remand is appropriate. I even agree with many of the ways in which the majority finds that the ITC erred. I cannot join in the majority’s reasoning, however, because I believe that the majority overlooks important procedural facts and binding statutory authority to reach issues that are not properly before us. Thus, I do not agree with the majority’s decision to remand questions regarding the validity of the registered mark for further consideration or its decision to even address questions of infringement. And, I cannot accede to the majority’s failure to order the ITC to enter a remedy against the parties found in default in the proceedings below or to explain why public interest concerns would justify not doing so. Specifically, I believe that the majority: (1) misperceives the scope of the ITC’s authority to invalidate duly issued intellectual property rights when it addresses the issue of the validity of a registered mark; (2) blurs the line between the concepts of priority of use under common law and the validity of a registered mark; (3) espouses advisory—and unnecessary—opinions on the weight to be given certain survey evidence and the question of infringement; and (4) ignores the ITC’s statutory obligation to enter remedies against defaulting parties. Thus, except where otherwise noted, I concur only in the conclusion that the ITC’s findings must be vacated, and the matter remanded to the ITC for further analysis. I dissent from the fact that the majority discusses matters not properly before us and from the nature of the remand the majority outlines.